There had been optimistic chatter in the Yankees’ clubhouse about returning to “attack mode” with a series-opening romp over the Blue Jays. 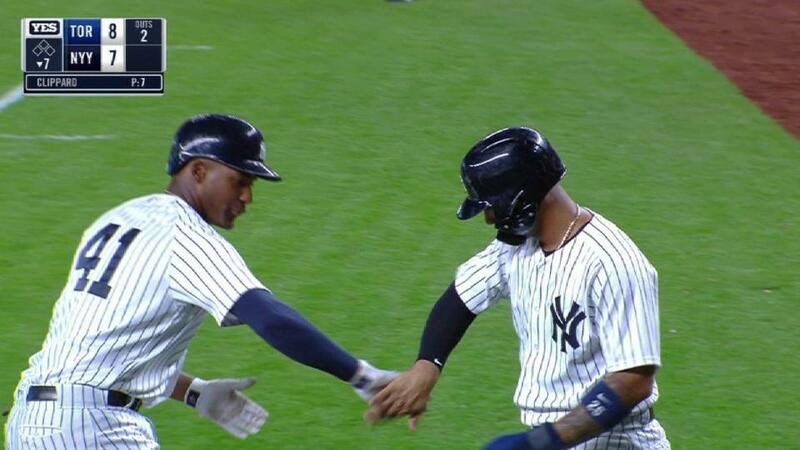 They made good on that boast Saturday: Didi Gregorius mashed two homers, Giancarlo Stanton hit his first long ball of the month and Miguel Andujar launched a grand slam. Despite the late power display, an early deficit and a rocky seventh inning by the bullpen prevented the Yankees from coming all the way back. An ineffective CC Sabathia was rocked for five runs in 2 1/3 innings, serving up three homers in his shortest start of the season, as the Yanks absorbed an 8-7 loss to Toronto at Yankee Stadium.